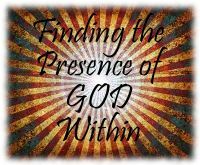 Self-discovery by Finding the Presence of God Within! these words still hold great insight and the ability to stir us up and check our current progress in life. This is part 2 of 2 for men and women who strive to make the most of their lives and never stop growing on their journey through life. Self-discovery is simply a question of finding the presence of God within ourselves. When we become conscious that the kingdom of God is within us it becomes a great self-illuminator, because it takes us back to our source, connects us with infinite life, with the great cosmic heart of the universe. It is a trolley pole which connects us with the mighty current of infinite power, and then our life problems seem easy because we are not pushing our car ourselves. God does that. Many people had never really met themselves until they became acquainted with the reality of their connection to the Creator. That is, they had never up to that time found the best part of themselves. They had previously been getting their living by their weak faculties instead of their strong ones. They had been in the position of people living in poverty on a little corner of their vast estate, ignorant that there were great deposits of undiscovered, unmined wealth. The possibilities of mental expansion, enlargement of vision, quickening of the mental faculties, increasing the efficiency,—in other words, the possibilities of self-discovery are almost unbelievable. We find ourselves in very different ways. Struggling with difficulties, disappointments, failures, great responsibilities, has been the means of recalling many human beings to themselves. The greatest of their latent possibilities lies so deep in some natures that it takes the impact of a tremendous emergency, a great life, or national crisis to call it out. Any ordinary event, the easy way of prosperity, will not do it; it must be something which shakes them to the very center of their being and knocks out from under them every support. They must feel that they have nothing to lean upon but the creative power within—only the God who made them. So long as there is no supreme call made on the great within of them they never know their own resources. On the other hand the structure of many a divine success has risen out of the ashes of a burned fortune or apparently ruined hopes. Like the plants which must be crushed before they will reveal their sweetest fragrance, or their beneficent properties, many people never reveal the sweetest thing in them until they are crushed by some great sorrow. They go through half a life or more unconscious of the richness which lies buried within them, when suddenly some great grief, some overwhelming misfortune reveals a wealth of personality, and of power which not even those who knew them best dreamed they possessed. Many people pass their fiftieth, even their sixtieth milestone, before they find themselves, before something happens which unlocks a new door in the great within of themselves and reveals new powers, new resources, of which they had never before been conscious. Then in a few years after their discovery they have redeemed half a lifetime of ineffectiveness. We often hear men and women who have found themselves tell of the particular things which awakened their ambition; the accident, the sorrow, the emergency, the book, the suggestion, the encouraging friend, which first gave them a glimpse of their own possibilities, uncovered powers which they never before dreamed they possessed. If all of the people who have done things worthwhile in the world would only give an account of how they were awakened, tell of the things that had aroused their ambition,—the incident, the circumstance, the book, the lecture, the sermon, the advice, or the catastrophe, the failures, the crisis, the emergency, the afflictions, the losses in their lives, what a wonderful help it would be to the strugglers who are conscious that they have locked up within them forces which have not been aroused and which theycannot seem to get hold of. The man who can write a book that will enable people to discover their unused assets will do an incalculable service to humanity. There are a multitude of things which assist our self-discovery. Keeping our minds in a positive, creative condition; keeping ourselves physically at the top of our condition, in perfect health; maintaining mental poise, a cheerful, happy mental attitude, by keeping our minds free from fear and worry and anxiety,—all of these things are great aids to self-discovery. And there is no secret about any of these things. Self-confidence is a potent self-discoverer. Distrust, self-depreciation closes the doors to the locked-up potencies and powers within. Faith opens the door and releases them. Seek every possible experience which seems to open up your nature and release new force. For instance, great lovers of music after listening to a wonderful voice, or going to an opera, feel something inside of them released, something which had been locked up before, something which they never really knew they possessed until then. If you would get at your hidden resources, stimulate your growth and your power, you must be continually improving yourself somewhere; increasing your intelligence by closer and keener observation, by the constant study of men and things, the broadening of your mental and spiritual outlook, the getting away from self and the enlarging of your sphere of service and helpfulness. We are all in a continuous process of development, and, as yet, strangers to the immense possibilities that sleep in the great within of ourselves. Uncovering these possibilities, finding our resources, should be the great object of every human being. “Know thyself!” This is really the chief business of man—to learn to know himself, to realize the power that is his through his inseparable union with his Creator. The end of part 2 of 2. God bless you and be blessed to be a blessing!